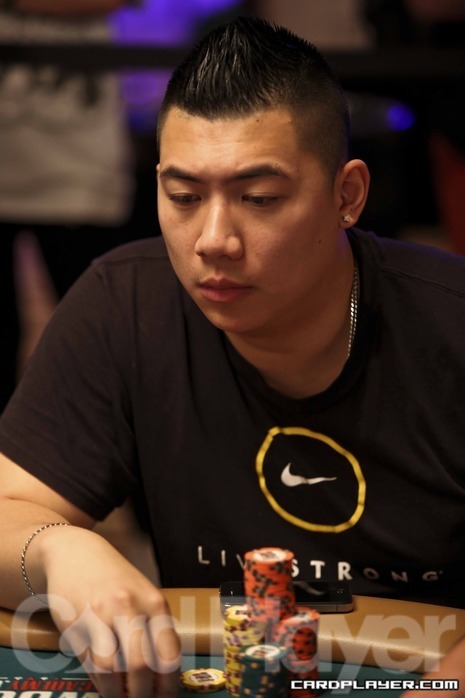 Despite being down to just two big blinds on the final table bubble, Henry Lu stormed back to win event no. 43 of the 2012 World Series of Poker, a $1,500 no-limit hold’em tournament. The Brooklyn, New York native defeated veteran British poker player Neil Channing heads-up to score a life-changing $654,380 payday, along with 1,200 Card Player Player of the Year points, moving him into 73rd place overall. After James Mackey was eliminated in third place, Lu and Channing battled for four hours. Twice, Lu had been whittled down to a severe short stack and twice he had come back. On the final hand, his pocket fours outraced Channing’s A-J for the title. The event drew a field of 2,770 players, creating a total prize pool of $3,739,500. Among the notable who made deep runs were Zachary Clark, Jesse Yaginuma, Randy Lew, Kevin Song, Carter Phillips and Cody Slaubaugh.